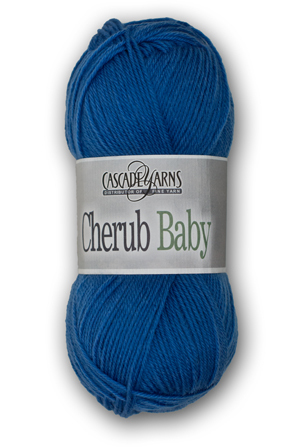 Cherub Baby is an incredibly soft yarn that is machine washable and dryable. The nice twist on this 55% nylon and 45% acrylic yarn will show off any cables or other detail work. You will love the wide range colors. Our Cherub Baby are perfect for easy-care items and not just for baby but perfect for lightweight tops or tanks.